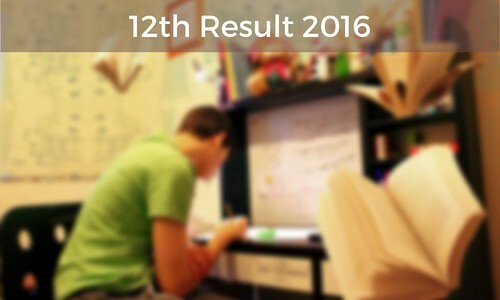 Almost every one of you might be breaking your head to know the 12th result 2016. More than students, parents take so much pain to make their children get good HSC result 2016. 12th exam or HSC Exam started on 4 March 2016 and ended on 01 April 2016. We are eagerly waiting for 12th result conducted by Tamil Nadu Directorate of Government Examinations(TNDGE). As we are already in May 1st week, you can expect the result anytime. This is a tentative date. Once the 12th result date is finalised, we will update the exact HSC result date here. Please bookmark this page so that you can keep checking for the exact 12th result date in Tamil Nadu. Here are some answers for the most frequently asked questions by students. Is there a way to check 12th result without Date Of Birth? No, it is not possible to check without entering the Date Of Birth. You must know the exact date of birth which was given during registering for a hall ticket. 12th result is announced. My friends have checked it. But I am unable to check. The result page is very slow. There will be a heavy load for the result server on the Tamil Nadu 12th result date as everyone will be accessing the result page. The speed of your internet connection might also be a reason for not downloading the page properly. Please wait and refresh repeatedly to check the HSC results. How to request a scanned copy of the 2016 answer sheet of any subject? Visit http://scan.tndge.in/. The option to request scan copy of the 12th answer sheet will be available once the 12th results for 2016 are declared. I am failed in the 12th exam 2016. What to do next? Consult your teachers and schools and act accordingly. Please do not get disheartened if you fail in any subject. This is not an end in the life. You still have lot of options to pursue in life and you can be more successful than others. God has something for everyone. Here are our few suggestions. You can request scan copy of your answer sheet to check whether there is any error in the correction. Apply for re-total or revaluation if there is any error. There will be a special supplementary exam conducted in the month of June 2016 or July 2016. You can apply for it immediately. For other results, check http://results.nic.in/ which is another portal for checking the results of various examinations conducted in India. You can check a lot of useful information too. You can find different information such as below in the results.nic.in website. Academic Exam Results section contains results for the various academic examination conducted in India. The results for various state boards, central boards, universities, and councils are available in that section. Entrance Exam Results section contains results of various entrance examinations conducted in Tamil Nadu. You can find the results of engineering, medical and other professional courses conducted by different central and state agencies in India. Online counselling section contains information about admission to different Under Graduate courses and Post Graduate courses in India.